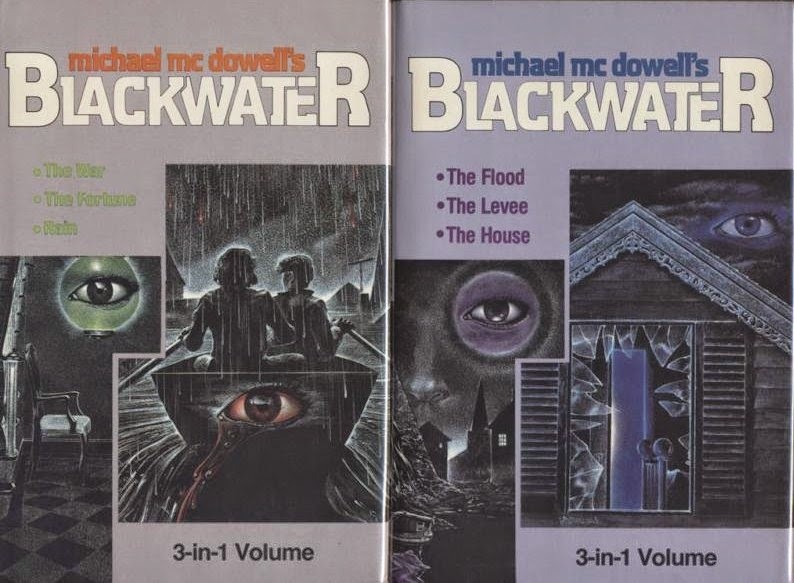 Michael McDowell’s Blackwater was a paperback horror series originally published in six volumes by Avon in 1983. It’s a tough set to track down these days, but not impossible. 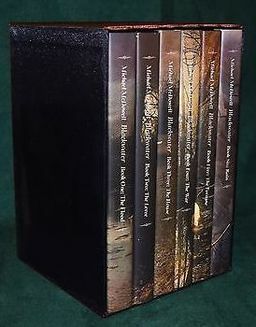 For those wiling to settle for a modern edition, Amazon offers a complete omnibus Kindle volume for just $9.99 and, at the other end of the spectrum, Centipede Press produced a hardcover slipcased set of all six books in 2014 for $350. You gotta admit, as blurbs go, that one certainly gets your attention. 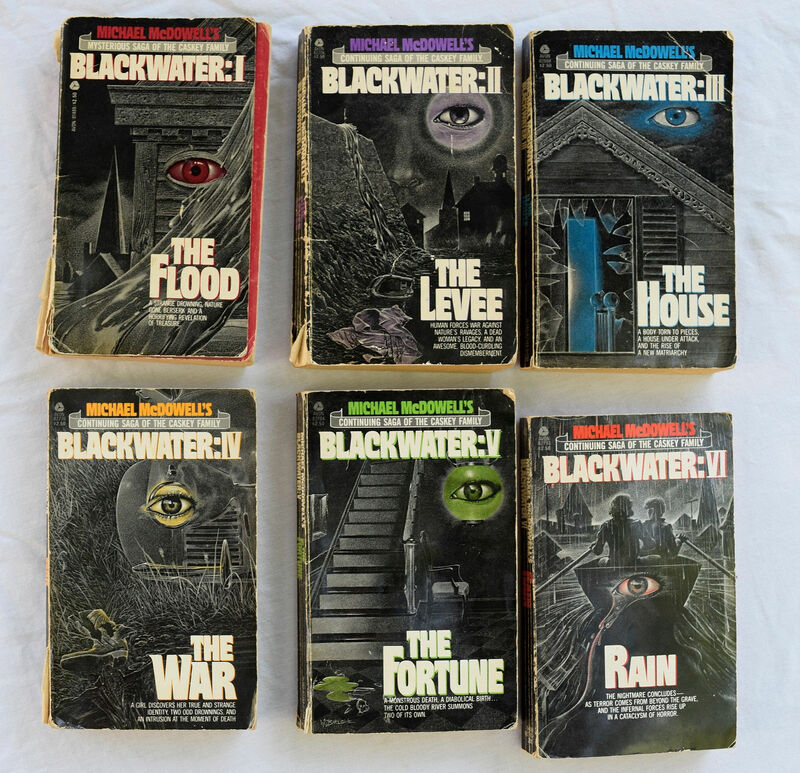 The most recent edition, the Centipede Press slipcased hardcover set (at right), was outside my price range at publication. It’s now sold out from the publisher, and sets go on eBay for $250 – $500. 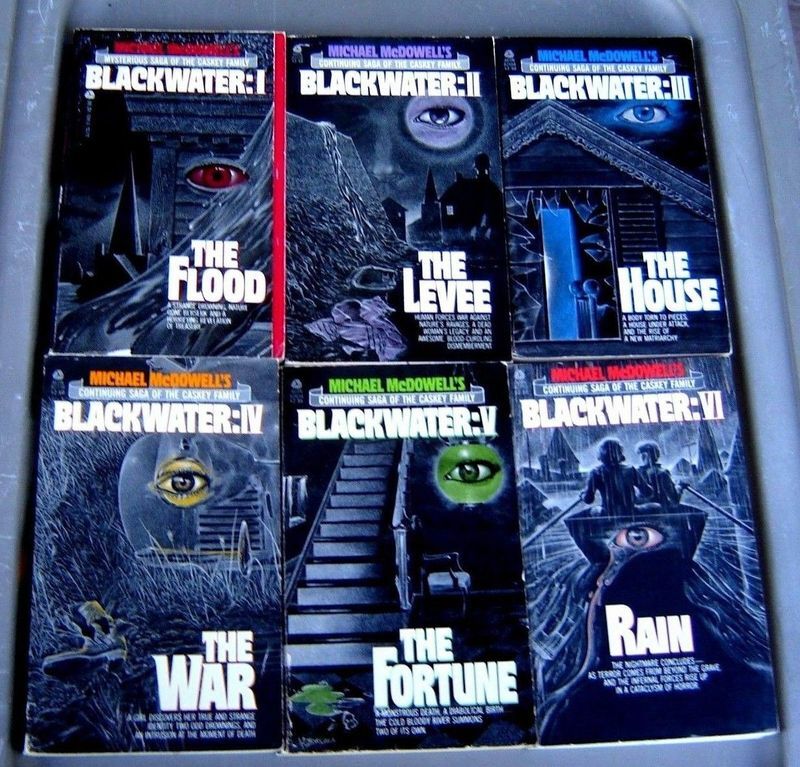 My preference, of course, is to obtain the original Avon paperbacks, with their glorious covers by Wayne Barlowe. 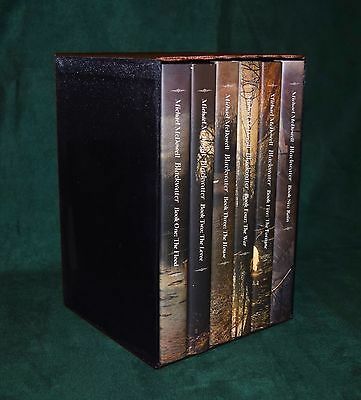 Complete sets sell on eBay for $11 – $25, but if you want copies in good condition, be prepared to spend well above $50. You can assemble a set on your own, of course (and let’s face it — for collectors, that’s usually the most enjoyable course). 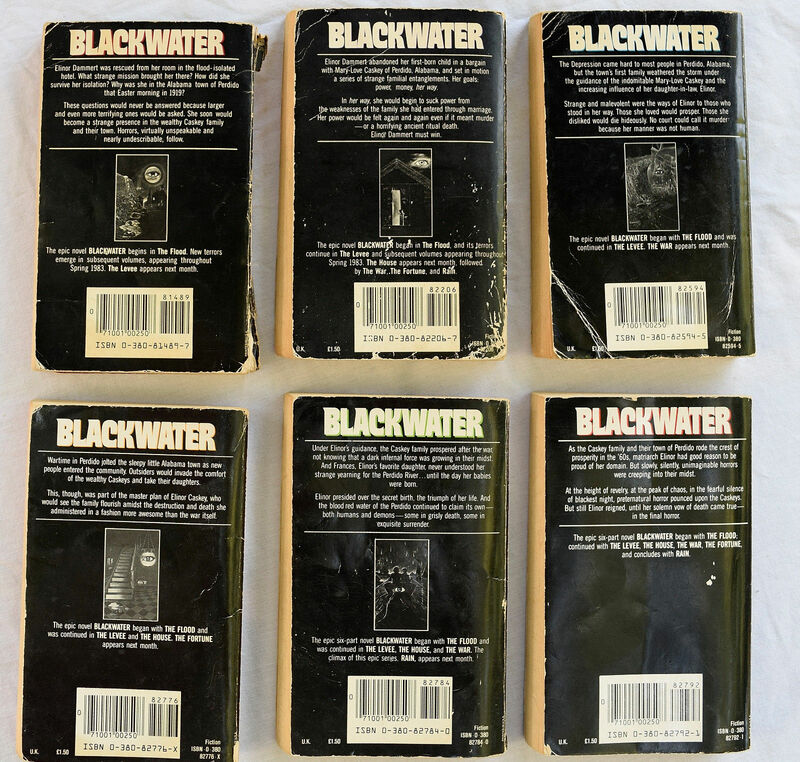 Based on an informal survey of copies for sale online, it looks like you can get copies of virtually all the books in great condition for under $12 each. 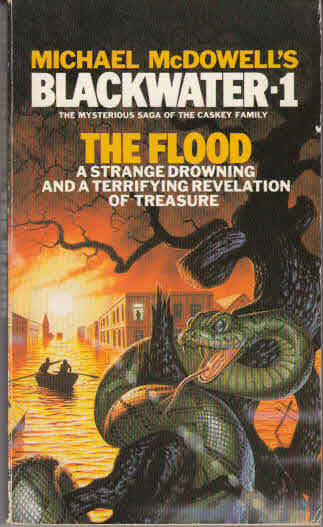 The exception is the first volume, The Flood, which seems to be the rarest of the set, and which is a pretty hard find. 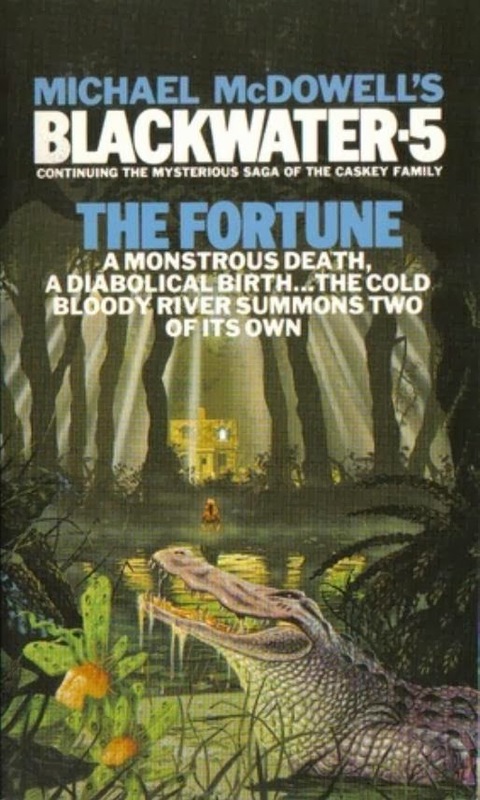 In 1985/86, the series was reprinted in the UK by Corgi, with terrific covers by Terry Oakes. This is another option, although I don’t see a lot of these for sale from US sellers. No, my best bet looks like the two-volume set published by the Science Fiction Book Club in July and November, 1983. These appear to be relatively common — or at least, reasonably priced, at under $20 each from multiple sellers. If you’re willing to settle for the digital version, Tough Times Publishing released an omnibus collection two years ago, with a new introduction by John Langan (below left). 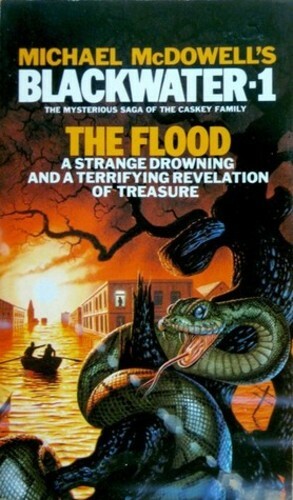 On the right is a sample of the cover art for the Centipede editions, this one from the first volume, The Flood. 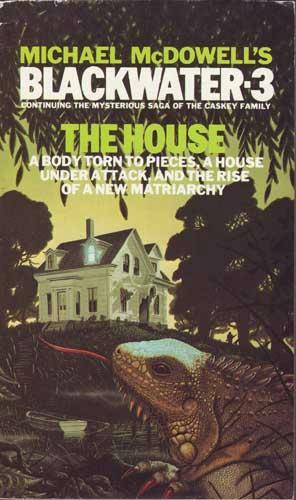 There’s a curious appeal to the serialized horror story — at least for me, anyway. 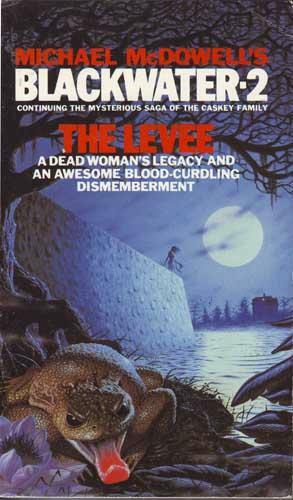 It’s sort of the literary equivalent of a long, satisfying TV horror series, like Penny Dreadful or American Horror Story. Here’s Nathan again with some closing thoughts (also cribbed from his Facebook page). 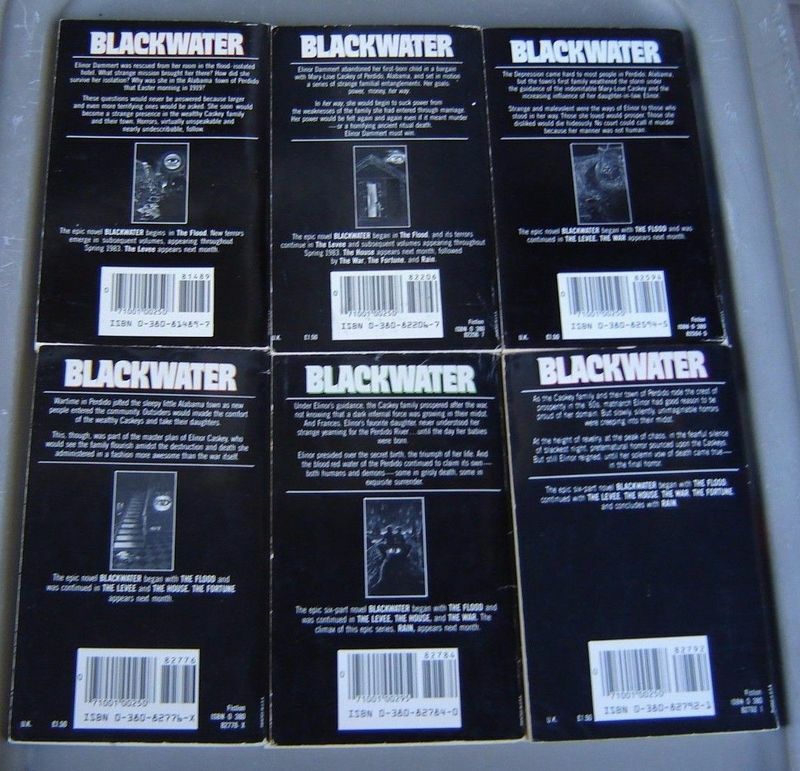 Reading Blackwater, and thinking back to The Green Mile, I wonder about the viability of that kind of serialized release in the modern publishing world. It’s no secret that I’ve been harboring plans for exploring the town of Hob’s Landing, from my story “Skullpocket,” in a larger narrative for a while now. But I’ve been struggling to find the right way to do it. 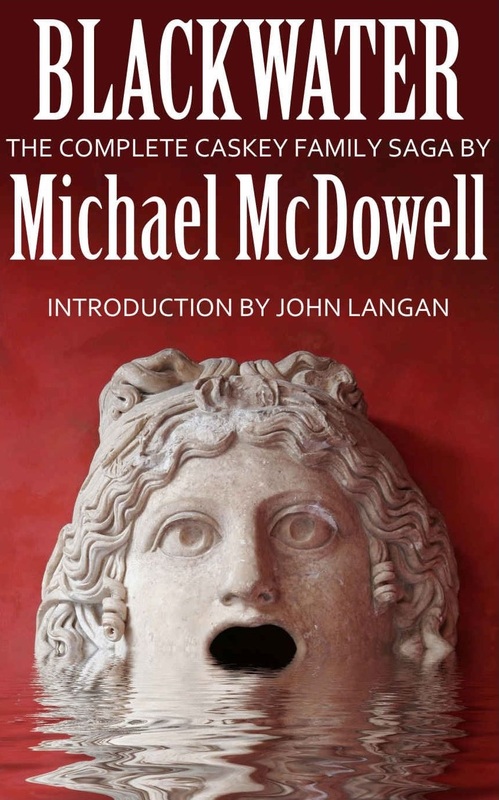 Something along the lines of what Michael McDowell did seems to offer some appealing possibilities. Here’s hoping Nathan decides to tackle a longer narrative featuring Hob’s Landing! See all our recent coverage of Series Fantasy here. 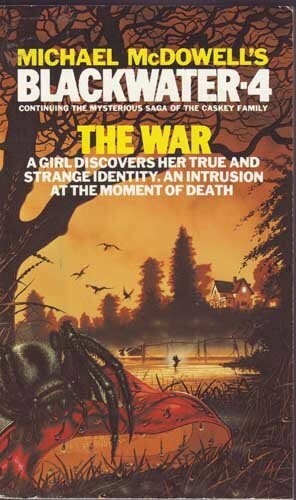 I have the original Avon paperbacks, bought new when the series was published. 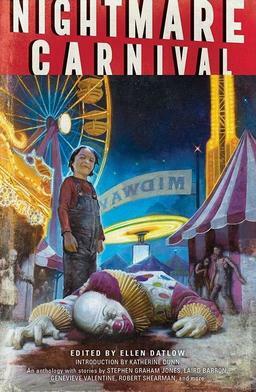 I reread the series last year. Over all, it held up. 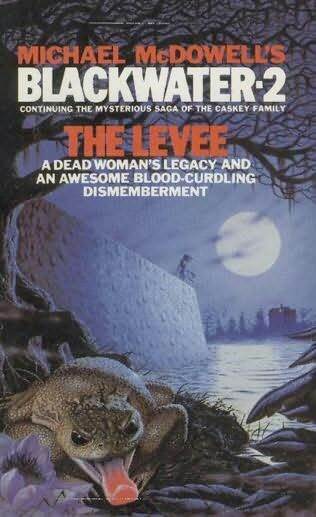 But I think the last book is a bit of a let down from what came in the first five. Thomas — How much you want for ’em? I caved in and bought these. I Grabbed the Corgi editions in various states or repair from booksellers all over the place. The Corgi cover art is indeed excellent. 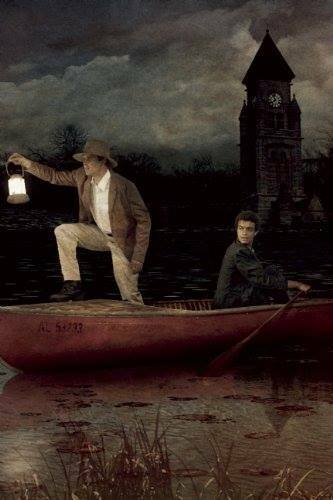 I keep looking longingly at Cold Moon Over Babylon as well. Rich — jealous! The Avon editions are a tough find, but the Corgi ones seem almost impossible. Ah well. Something to aspire to! 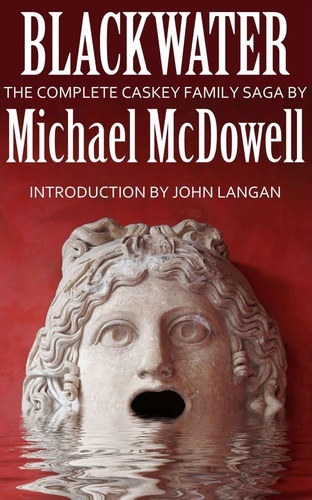 McDowell was a horror master, glad to see he’s still appreciated today. 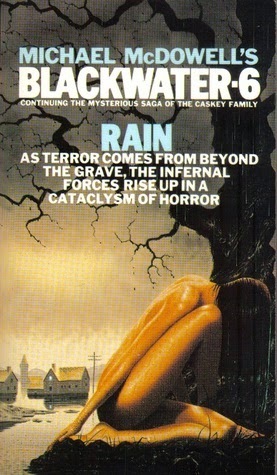 Love those UK covers!